Ransomware is a type of malware that tries to extort money from you. One of the nastiest examples, CryptoLocker, takes your files hostage and holds them for ransom, forcing you to pay hundreds of dollars to regain access. Unfortunately, Ransomware is becoming more and more sophisticated. One of the latest examples, CryptoLocker, starts encrypting your personal files as soon as it gains access to your system, preventing access to the files without knowing the encryption key. 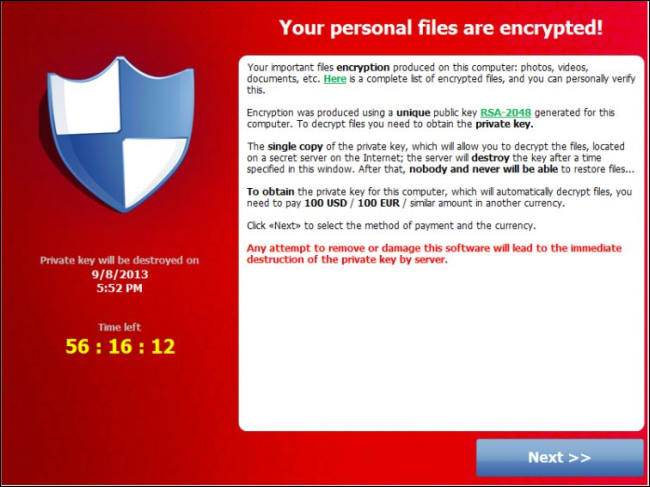 CryptoLocker then displays a message informing you that your files have been locked with encryption and that you have just a few days to pay up. If you pay them $300, they’ll hand you the encryption key and you can recover your files. CryptoLocker helpfully walks you through choosing a payment method and, after paying, the criminals seem to actually give you a key that you can use to restore your files. Keep your software updated. Using an old version of your web browser, operating system, or a browser plugin can allow malware in through open security holes. 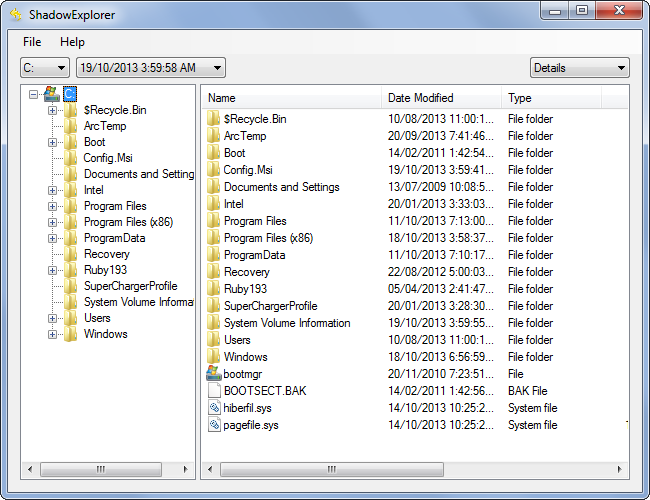 If you have Java installed, you should probably uninstall it. Ransomware — CryptoLocker in particular — is brutally efficient and smart. It just wants to get down to business and take your money. Holding your files hostage is an effective way to prevent removal by antivirus programs after it’s taken root, but CryptoLocker is much less scary if you have good backups.